The online courses listed below are not operated by the British Cardiovascular Society. If you do have any questions regarding them, contact the course provider directly. This course is designed to cover theory, knowledge and some of the skills required for core training in CMR. The course takes approximately 10 hours to complete and is split into 10 topics. There is a strong interactive component, with questions at the end of each topic, as well as lots of case reviews along the way. The course is not designed to replicate the practical aspects of scan acquisition and live reporting that can only be gained from working in a CMR department. The course will however, provide you with 10 hours of theoretical and case-based learning, and contribute 35 online cases towards level I, II or III accreditation. 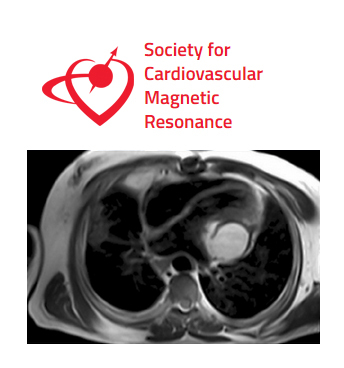 If you are enrolled in the course via SCMR, a certificate will be provided at the end. BCS Members: To find out more and to take the course, log into the BCS website and go to 'My Page' and follow the link through to the course. The Radiation Protection for Cardiology e-learning course specifically addresses the requirements of the Training Curriculum in Cardiology, in particular the need for trainee cardiologists to have completed a course on the Ionising Radiation [Medical Exposure] Regulations (IR[ME]R). Experienced cardiologists will find the material useful as a refresher or a means of demonstrating continuing education. Developed by the British Institute of Radiology in collaboration with representatives from the Royal College of Physicians' Specialist Advisory Committee in Cardiology, scientists involved in the delivery of radiation protection courses for cardiologists (Manchester, Birmingham and Leicester), clinicians, radiographers and HEE e-Learning for Healthcare. To facilitate achieving core curriculum requirements, trainees (and consultants) can access an online course devised by the International Society for Adult Congenital Heart Disease (ISACHD). The full course consists of 56 x 15 minute modules, delivered in PowerPoint format by International ACHD specialists. 25 of these modules have been mapped to the UK curriculum and are marked as ‘Recommended’. The remaining modules are marked as ‘Optional’. View/Download the modules table. Each module has a set of 3 MCQs which are taken before the PowerPoint presentation launches. Once the PowerPoint presentation is complete, the three MCQs are repeated. A certificate of completion for each talk can then be generated for your e-portfolio. You should then click on the ‘UK Adult Cardiology’ tab, where you will be invited to create a simple log in to the system.